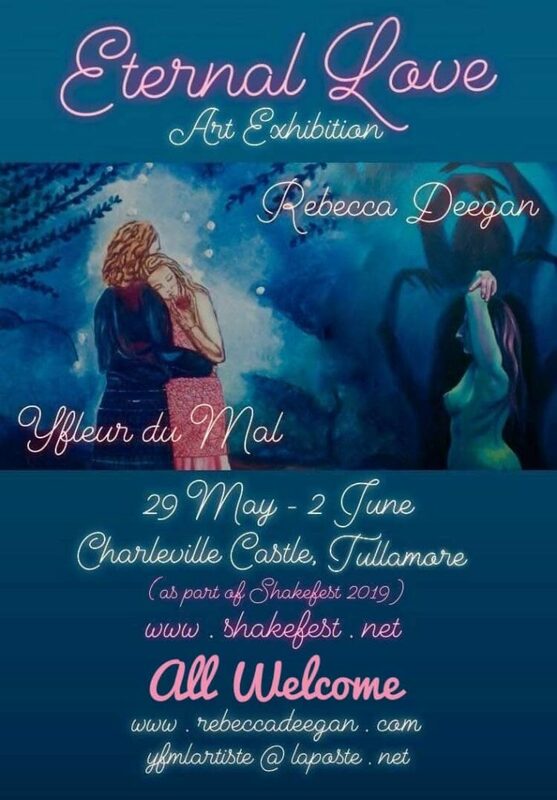 Shakefest would like to also celebrate its 14th year of art and culture by running a 2nd art exhibition in the suitably named and hosted Ballroom or ‘Gallery’ as it is also called, of Charleville Castle, of which historical artisan and craftmanship was and still is present today. We are delighted to host 2 artists from Dublin – yFleur du Mal and Rebecca Deegan. Yfleur du mal is a fine art painter living in Ireland of French origins where she study story of art and drawings.she also was an apprentice with master watercolors and pastel in Istanbul where she also exhibit. She has a passion for mythology and fantasy. 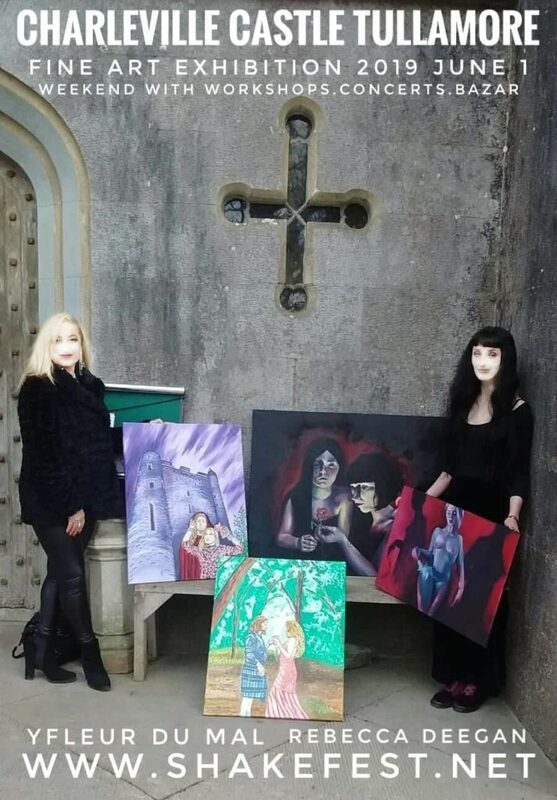 She has published her art on book covers and albums like stand and has also worked as a graphic designer for Hotpress and other publications, including as illustrator for Women’s Way and more. She has lived all of her life in Ireland since being an Au pair, but has always been involved in the arts. Rebecca Deegan lives in Portlaoise and has been immersed in art for the better part of 10 years with a HND in Fibre Art & Textile Design at Ballyfermot College of Further Education and a FETAC Level 5 in Art, Craft and Design at Abbeyleix FEC. She has procured an impressive list of solo and group exhibitions in the last 4 years, the most recent being ‘Emotional Vampires’ in July, 2018 at the In-Spire Gallery, Dublin 1.